Home > Financial Planning > Top 5 Financial Tips for Married Young Couples..! Top 5 Financial Tips for Married Young Couples..! You will see the digital and the real world strewn with quotes like this. Is marriage really so infamous or the myopic view of life being an endless string of dates and movies is hampering the perception of a lifetime commitment. More often than not the romance ends when the couples face financial restrictions. Arguments brake out, bad blood is spread and the delicate thread of love is severed. As a couple, it is important that you are in sync on your income, expenses & investments. And, for the same, you will need to start discussing your finances. When you talk, you get to know the financial personality of your spouse (whether he/she is a saver or a spender) and understand each other’s views on money handling. Whether it’s your insurance policies, fixed deposits or mutual fund investments, discuss everything openly. Also, talk with your partner about the financial commitments you already have. Don’t keep any secrets. Keeping money matters transparent not only reduces the chances of disputes arising over resources, but also strengthens your relationship. 2. Set your financial goals..! As an individual, you may have dreamt of spending on an adventure trip with your friends or buying an expensive Harley Davidson, but as a family, the goals begin to change. Gradually, a property purchase, children and their education, health expenditure, emergency or retirement fund start taking priority. Hence, sit down with your partner and work out those goals. Also, discuss what you both need to do in order to achieve them – whether you both plan on working post children or becoming a one-income family? What age you plan to retire? Regularly, say once in three or / six months, review and update your financial goals as they may change with circumstances and income. If one or / both of you are going to get a raise in your income or a bonus, mutually decide how you should utilize the extra income. Aligning your goals will prevent conflicts. 3. Pay off your debts..! Most people enter into their marriage with some debt – an education loan, outstanding credit card debt, home loan, car loan or even a personal loan to take care of the wedding expenditure. Whatever might be the case, it is important to get rid of your debts, so that you can start saving towards your goals. Living debt-free is not only healthy for you financially, but is also the secret recipe for a healthy marriage. Money management requires self-discipline and a systematic approach. Decide your budget and agree on a method of handling your finances. Also, divide your financial responsibilities such as who would track the expenses and investments and ensure that the bills are paid on time. Either of you should be able to pull strings when the finances slip out of control. To avoid going overboard with your spending, it’s a good practice to design a monthly budget to limit how much you would spend in a certain month regarding food, loans, dining out, shopping and entertainment. You can review your joint expenses in the last few months to determine how much you have been spending, and if and how, you can bring that amount down. Remember to keep an emergency fund for unexpected or irregular expenses such as medical urgency, car repair or home maintenance in your budget. Also, your budget should be such that you can save a little at the end of the month. However, it is not enough to just make a budget. You need to review it periodically to make sure you stay within your allotted spending and adjust accordingly as your expenses or income changes. 5. Invest wisely & diversely..! To meet your financial goals, it is important that you make sound and regular investment. There are both short term and long term investment options. However, refrain from putting all your eggs in one basket. Diversify your portfolio by choosing to invest in a variety of instruments such as mutual funds, insurance, fixed deposits, PPF, shares, etc. Every investment vehicle has its own purpose, advantages and drawbacks. So, carefully analyse each one of them and how they fit into your financial goals. Your portfolio should yield you cash flow as and when your financial milestones draw near. For instance, when you want to buy that dream home or pay for that ivy college for your child. Talking about money matters can be tricky in any relationship, but keeping an open and honest communication about money management as well taking joint responsibility of financial matters can help avoid any possible issues related to money in the future. 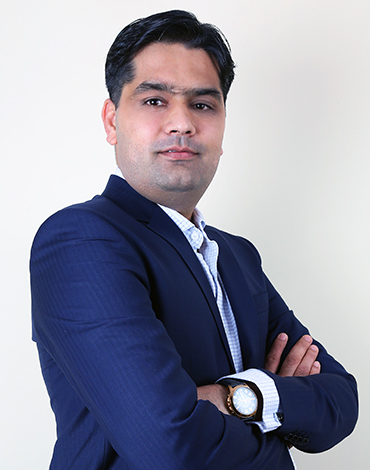 Over 12 years’ experience in the investment and banking industry - Managed a portfolio of about $2 Bn in assets across mutual funds, bonds and other investment solutions at HSBC - Led the Investments Business of West Region at Citibank - Has cleared Company Secretary Foundation (CS) with all India Rank – 14th, and also CA Foundation & CFA Level 1 examinations. – Mr. Mohit also was an official sports commentator with Star Sports - He runs a free website (http://gurgaonmoms.com), out of passion, for astrological predictions.